In early recovery, it is common to see the high identification with oneself as a victim. You can see it on the FB comments. An article is posted, and the survivor’s response is a list of victimizations done to them even if the article was about a recovery method. This is the symptom of reexperiencing which is basically having a flashback in word-form on the page (listing the victimizations). It shows us the ‘associational’ nature of PTSD. 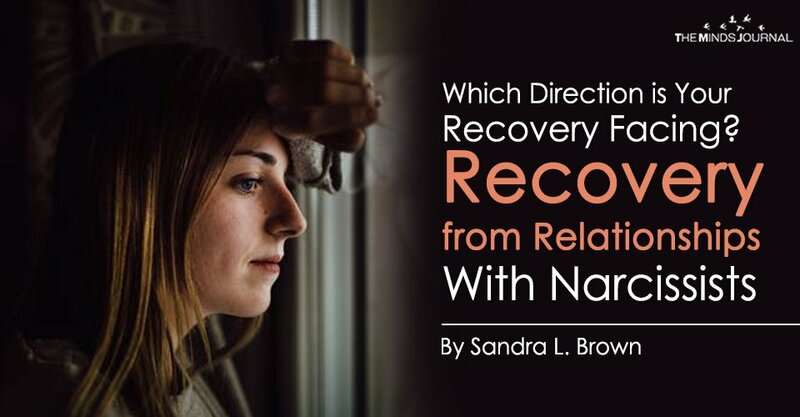 The article is about recovery from Pathological Love Relationships (which is the readers original trauma—the PLR) and even though the article is about recovery, it triggers the trauma because it’s about the same topic, a PLR. She begins to have reexperiencing and her response is not about the article about recovery, it’s about the flashback she is having internally which comes out as a list of her trauma history on a FB comment that has nothing to do with the article. The survivor might be five years ‘out’ but her reexperiencing is still as fresh as day one. As we can see, timeout has nothing to do with progressing in recovery. This becomes a good marker for therapists and survivors to check in on their identification. Look back on your FB comments and see if you are Forward Facing (discussing what is working or how to use a method) or if you are trauma-facing (responding with a list of victimizations). Trauma-facing is an indicator of active, untreated trauma. It keeps survivors tied to the identification as a victim. Internally, the trauma is stuck and every reminder (even recovery methods) sets the survivor off into the replaying of her list of victimizations, ingraining the self-identification as a victim, not as a survivor progressing in recovery. Recovery shifts the victim identification into survivor identity. They are no longer only identified as the list of their victimizations. The first thought to an article is not the stuck trauma list. It becomes solution-focused—what can I do about a symptom? On the other hand, stuck trauma never gets past the events to the solutions because it becomes intrusive thoughts or reexperiencing. In fact, it prevents the brain from active problem-solving. All the rah-rah ‘you can do this’ articles I see from survivor bloggers miss that none of what they are writing is actually for the early recovering person who has high victim identification because they are still in reexperiencing. The ‘rah-rah’ articles with their do these three things and you’ll get better, are setting off the associational nature of reexperiencing because everything sets it off. It simply becomes one more thing that hasn’t worked for the still highly traumatized survivor. We can see then, that until reexperiencing symptoms are treated, it is hard to make traction in recovery. The brain can’t problem-solve to shift from trauma-facing reexperiencing victimhood to forward-facing solution-focused survivor-hood. This is the importance of trauma recovery. Years out has nothing to do with whether you are even past the early stages of reexperiencing. I see comments on social media with people saying they are years out yet in high victim identification suffering with reexperiencing all over the page. If this is you, you might be years out, but you are still in the early stages of trauma that is stuck.